The dog is looking at me. His eyes, they seem to see right into my soul. I am not great at prolonged eye contact even with humans. So a dog, a menacing looking black dog that too. Nope not good. The kids and I have come to the neighbourhood mall. Its a regular weekday grocery shopping trip. There is a friend with me. We stroll on the grassy bit outside the mall, taking our time before we enter the building. A woman walks up to me. I can make out she’s mad about something. She keeps pointing to the grass in front of me and gesturing angrily. “Why did you do this?“, she asks. I look at the spot she points at and I see nothing. My friend looks at the spot and apologises. “No no, it wasn’t her. Look! That dog probably did it.”, she says and she points. That’s when I notice the dog. Its huge. Almost like a werewolf. With a shiny black coat. Its sits on its back legs watching me. I get the strangest sensation. This feeling of dread. Its a warm beautiful day, and we’re standing in the grass amidst happy shoppers, but the dog feels like a bad omen. It’s eyes are almost human. I can’t bear to tear my eyes away from it. We walk off and enter the mall but I can feel the dog’s gaze following me. “What gashes?“, I ask, puzzled, but she’s distracted already, looking at a shop window. We walk slowly, the kids skipping ahead of us. Suddenly my friend lets out a cry and moves away, pulling me with her. “What?” I ask. I look at the floor around me and see nothing. By now, there’s a strange feeling in my tummy. Something is not right. I desperately want go home. I hold Ryan’s hand a little tighter, and realise that Steve has slipped away. I turn back and see Steve climb over the safety railing. Below him is the basement floor and a couple of feet in between. This can’t be happening, my mind says. For an instant, I have those out of of body experiences where I float up to the celling and watch him climbing over and me, a distraught mother watching it all. But in reality, I am running, running so fast towards him and I hold him tight and pull him back up. No one has noticed. I don’t say a word to the kids. There’s no time for chiding. Something about the mall is ominous. We need to leave right now. “Lemme take a photo of the boys. Aww they are adorable.“, my friend clicks a picture on her phone. “See“, she says waving it at me. Even before I see the picture, I know its going to be something it shouldn’t be. I know this with so much certainty that I can feel bile rise up in my throat at the thought of looking at the picture. I take a deep breath, and look. .
Its a photo of my children holding hands, smiling at the camera. In between them holding both their hands is a young child. A little Asian boy. He is looking past the camera at something behind my friend. I had never seen him before in my life. I realise by now, my friend and I are seeing entirely different things. So I keep quiet. We just need to leave, I tell myself. It will be ok if we just leave this building. We are reaching the mall exit. I feel relief. Until I notice the sky. Its grey. Not grey in a way that the sky becomes when it’s going to rain. But like someone took a giant paint brush to the sky and painted it a dull grey everywhere. I am semi running by now. My friend is calling my name but I don’t care. I run out and gasp. The world has turned grey. Everything. 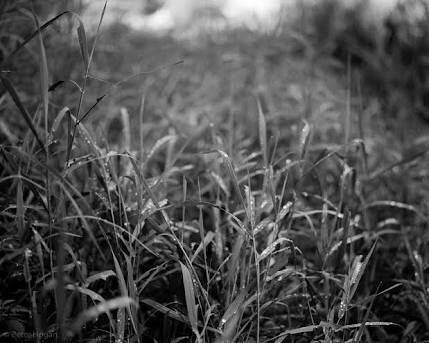 The grass, the very grass the lady accused me of damaging, its grey now. Same texture, but so grey. I look at the children and they haven’t noticed anything amiss. We walk home quickly. Past the grey brick stone buildings, past the grey mailbox. I climb the stairs to the apartment. Its going to be fine once you’re home I tell myself. We are at the door. The door begins to open from the other side. But Ajit is at office, is my last thought before I step inside. April 9, 2017 in People say I have a dry humour. Perhaps..